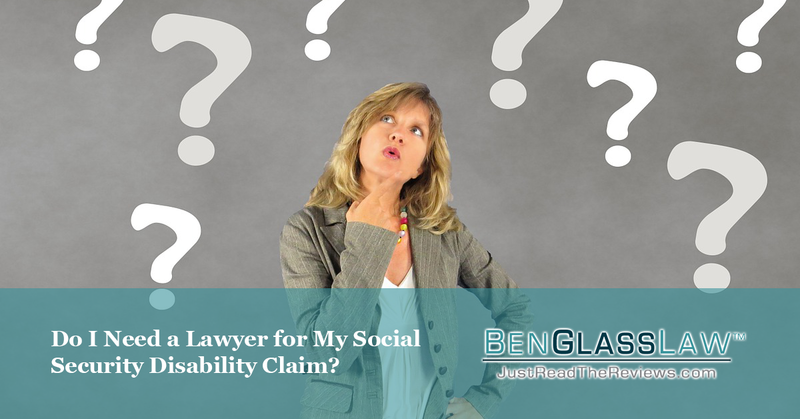 Do I Need a Lawyer for My Social Security Disability Claim? Hiring a Social Security Disability lawyer to help your case may be unnecessary depending on how far into the process you are in of receiving disability benefits. People do hire Social Security attorneys to help them with their initial application, but if it is immediately approved, the attorneys cannot obtain a fee from the approved benefits. Attorneys usually involve themselves in a case if a claim is denied. Most of the time, initial applications are rejected. However, just because your initial application is rejected does not mean that you are ineligible to receive benefits. It only means you did not provide enough proof and must go through additional steps to receive it. This begins by appealing your denied initial application. Due to the long, arduous appeals process, lawyers become involved to help clients understand it better and gather crucial information for approval. With more information that the Social Security Administration receives about you, they will be able to make a better decision over your case. Your attorney will be in charge of collecting documentation such as medical records and doctor's opinions over your disability. This will allow the SSA to review better your eligibility based on your condition. Your attorney can review your file to create a strong appeal case. They can conduct legal research to use in your appeals hearing and even create new arguments. The attorney will understand your case better from experience increasing your chances of being approved. Your hearing will be in front of an Administrative Law Judge. Your attorney will help you by preparing answers to questions the judge is likely to ask, better shape your argument, and can ask others to testify on behalf. Your attorney will help you better understand the appeals process. Call (703) 584-7277 if your benefits have been denied and want to speak with one of our Social Security attorneys.